In February 2015, the Vermont Workers' Center and NESRI published a concrete healthcare financing plan that shows how universal healthcare could be implemented in Vermont. It adds to former Governor Peter Shumlin’s proposals, published in December 2014, by providing equitable solutions to the questions raised in his report. The plan includes cost and revenue models that demonstrate that it is not only possible, but financially and economically advantageous to implement a publicly financed health care system in Vermont. Click here to download the financing plan. 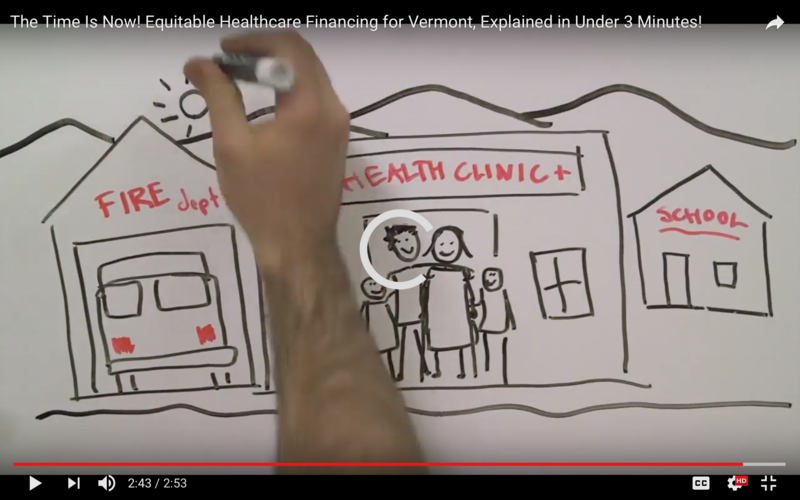 The plan was released along with a three minute accompanying video and a letter signed by over 100 economists making the case for Vermont to establish what would be the first universal, publicly financed healthcare system in the United States. It provided the basis for H.475, a bill introduced in the 2015 Vermont legislature that would establish income-based, non-wage income, and payroll taxes to pay for Green Mountain Care. In this moment of profound uncertainty in Vermont's healthcare system, H.475 offers a concrete model for transitioning to an equitable, publicly financed system that treats all medically-necessary care as a public good and a human right.